Following a delay to resolve an issue with the Delta 4 launcher ULA resolved the issue and delivered the WGS 9 satellite to orbit this evening. United Launch Alliance began their 2017 launch manifest with the successful delivery of the Air Force’s Space-Based Infrared System (SBIRS) GEO-3 satellite. The launch was originally scheduled to launch yesterday but was delayed due to a sensor issue on the RD-180 engine the Atlas V 401 and then a fouled range with an aircraft encroaching on the keep out zone. The countdown today proceeded smoothly with an on time launch occurring at 7:41 pm ET from Space Launch Complex (SLC) 41 at Cape Canaveral and delivered the payload to orbit 43 minutes later. More than a year after the catastrophic failure of the Antares Launch vehicle which resulted in the lose of the Cygnus Cargo vehicle and its payload Orbital’s enhanced Cygnus vehicle lifted off from Cape Canaveral today with the help of an United Launch Alliance Atlas V rocket. The launch which was delayed three times due to inclement weather finally lifted off this afternoon when the Atlas V RD-180 came to life. Orbital elected to purchase two Atlas V launches to allow it to resume its Commercial Resupply contract with NASA for the International Space Station while the enhancements to its Antares rocket continue. Orbital were also able to introduce there enhanced Cygnus vehicle which can carry an additional 1,200-1,500 kg of cargo depending on launch vehicle. This evening United Launch Alliance launched the seventh Wideband Global SATCOM (WGS) military communications satellite aboard its Delta IV rocket. The launch, which was delayed yesterday due to stormy weather, proceeded with a smooth countdown this afternoon resulting in the Delta IV lifting off at 8:07 pm EDT. 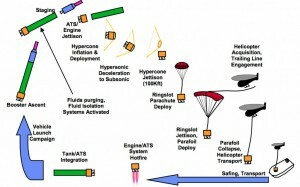 Once in orbit the 2nd stage will burn twice to deploy the satellite to its desired orbit. Once deployed the satellite deployed its solar arrays to begin on-orbit operations. While SpaceX have yet to successfully land a Falcon 9 first stage it appears their vision has spurred the industry to react with both United Launch Alliance (ULA) and now Airbus Aerospace announcing plans to include re-usable components in future rocket designs. The three companies have quite different plans to achieve the re-use. 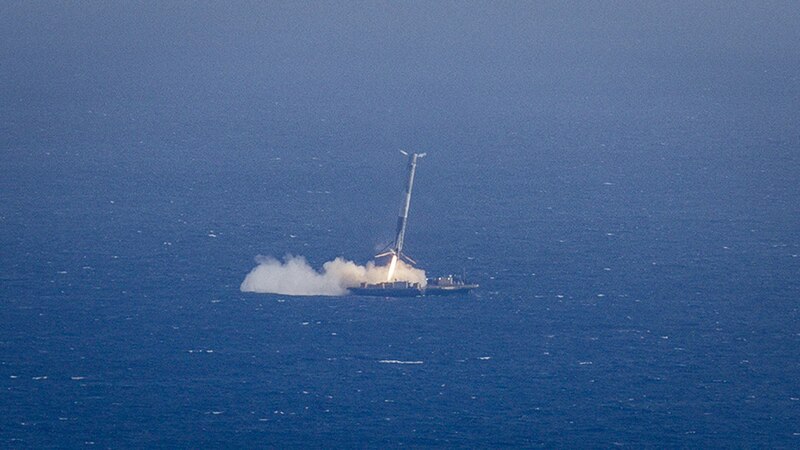 SpaceX – Plan to land the complete first stage initially on their Autonomous Spaceport Drone Ship (ASDS) which is placed about 400 miles off the Florida coast during liftoff. Eventually they would like to return the stage to landing pads located near the original launch pad. ULA – Their new Vulcan rocket will allow the Engines to be re-used. 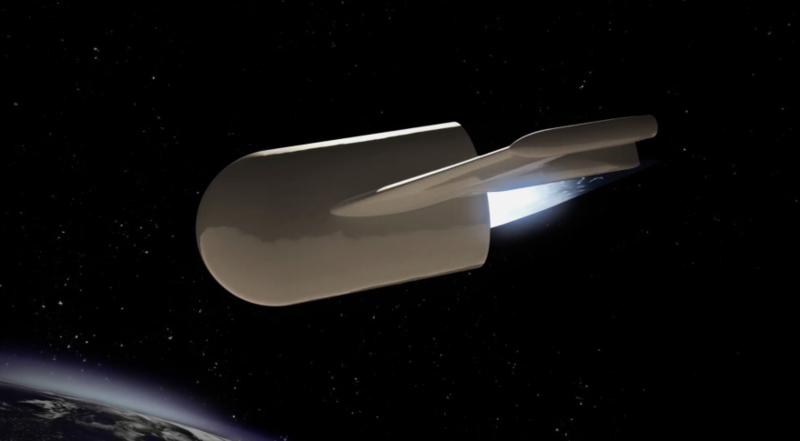 Once the first stage has completed its work the engines will be detached, an inflatable heat shield will protect them during re-entry and then an Parafoil will be used to slow the descending engines so that a helicopter can capture them while still in the air. Airbus – They plan to have a detachable module too which contains the engines and main avionics, unlike the ULA module this will be a winged module that will return to Earth and land like a plane. Only time will tell how successful these plans are however SpaceX has two big advantages at present. First they are already testing their design and have already demonstrated that they can return the full first stage to the ASDS, they just haven’t been successful at landing it yet. 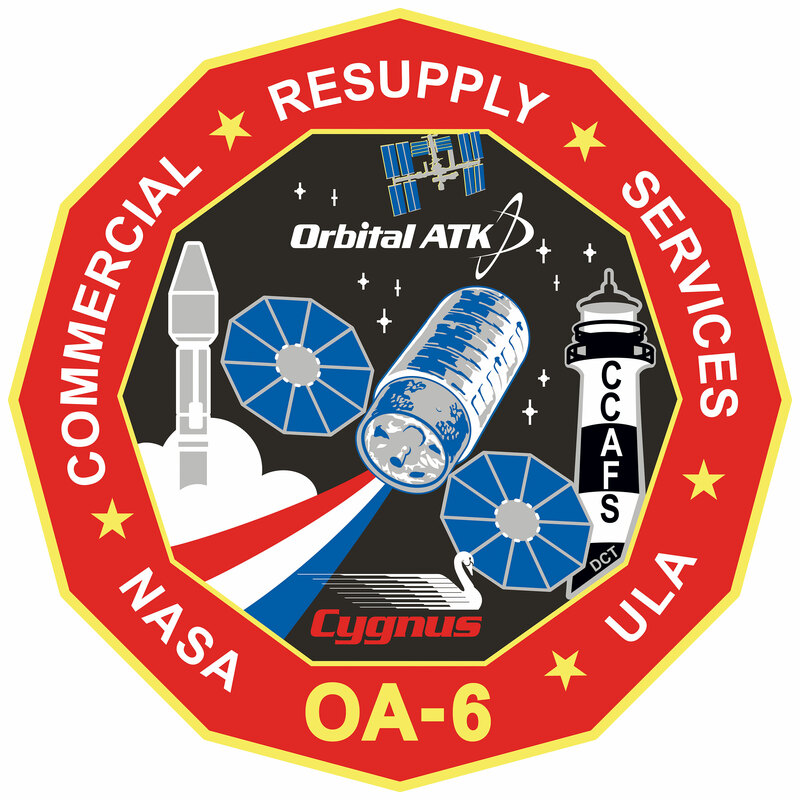 The next attempt will be later this month during the CRS-7 launch. ULA will not be flying the Vulcan rocket until at least 2019 and the Ariane 6 rocket will not include the re-usable module initially. Second once they have successfully landed a first stage they will be able to determine just how quickly it could be re-used. The other two plans will require that the rest of the first stage be constructed each time before the engines can be attached. This week NASA announced that it had awarded Boeing the first Commercial Crew flight contract under the CCtCap program. However it is important to realize that while the contract has been awarded, as NASA started in the press release. Determination of which company will fly its mission to the station first will be made at a later time. So why were Boeing selected first? This is a matter of scheduling, the Boeing CST-100 module will be launched atop a ULA Atlas V rocket to ensure that they are able to launch by late 2017 they need to book the flight now to enter the processing flow. SpaceX has a shorter lead time for their rockets as they manufacture the whole system internally. There is no denying that this is a significant step both for NASA and Boeing but as they stated there is not guarantee that just because they were awarded the first contract means they will actual fly the first contracted flight. This will be determined once future milestones in the CCtCap program have been completed and NASA can be confident that they can complete the flight when needed. Is ULA’s new rocket doomed? With great fanfare United Launch Alliance (ULA) announced their new Vulcan Rocket last month. However since then the news has not been quite so rosy for the company. Almost immediately after the announcement Paul Allen’s Vulcan Aerospace informed ULA that the name was trademarked, at present we have not heard anything further on this but it could result in a name change. Last week ULA themselves stated that if the RD-180 engine ban wasn’t altered to allow them to purchase additional engines then the Next-Gen rocket may be impacted. While this seems a little extreme the logic makes sense, if they cannot generate revenue from additional launches then funding a new rocket is going to impact the bottom line more severely. At present ULA board has not fully committed to investing in the new rocket, and while they have approved the milestones for this year they are only committing funds on a quarterly basis. Add to that the recent SpaceX certification to fly national security space missions thereby removing the monopoly ULA had on the segment. Not only do ULA risk losing launches to SpaceX but even if they win it seems likely that they will have to lower their costs to compete thereby generating lower profits. While ULA does have the Delta rocket family they could fall back on, they have made it very clear that it costs too much to produce and they are only keeping the Delta Heavy option for as long as customers are willing to pay for it. So in summary it is very unlikely that the Vulcan rocket will be cancelled however the fact that it may take until 2022 before it can fly national security space missions and given the potential shortage of RD-180 engines ULA could be facing some hard times over the coming years as they attempt to fund the new rocket and also deal with the changing market that they once dominated. 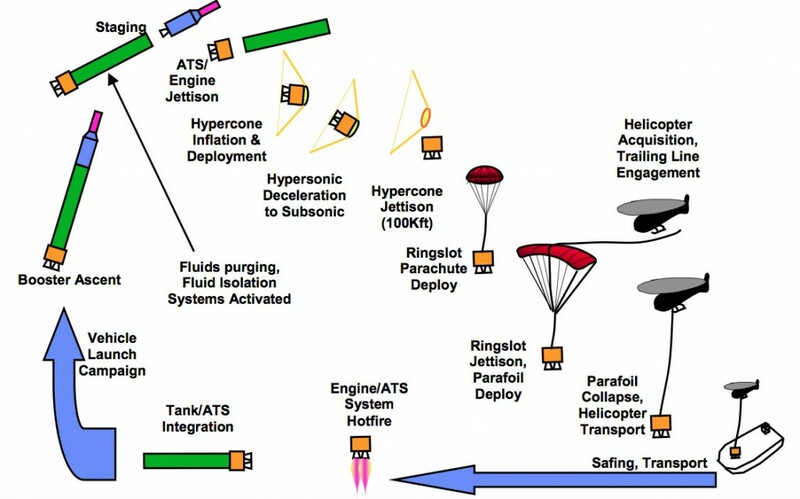 It should also be noted that because the Air Force requires at least two launch options for it’s hardware it is very likely that something will be done to ensure ULA or another vendor other than SpaceX is available for future launches. The information regarding the potential impact of the RD-180 engines was taken from the linked SpaceNews article. Following a smooth countdown today United Launch Alliance’s (ULA) Atlas V launched the military’s X-37B space plane. The rocket lifted off from SLC-41 and carried the space plane to orbit before deploying it, the rocket also carried a secondary payload of Cubesat’s including The Planetary Societies LightSail test. The Planetary Society is currently raising money for the next test spacecraft due to launch aboard a SpaceX Falcon Heavy next year. 1) Continuation of NASA’s advanced materials investigation – This was flown on the International Space Station a number of times and allowed NASA to test different materials in the vacuum of space to see the impact on those materials. 2) An experimental propulsion system – This ION engine called a Hall thruster will be tested while the vehicle is on orbit. The last X-37B mission spent 675 days in space before returning to Earth, there is no details on how long this mission will last. We will publish another article on the LightSail later when we hear news on it’s status and progress.